When you hear Swizz talking about doing big things on his new album Haute Living, believe him. In this latest interview with Paper Mag, he reveals some of the collaborations that will make their way on the LP coming later in the Summer. One of them is called ‘Skyscrapers’ featuring Kanye and Bono. Can you tell me a bit about your upcoming album? Haute Living is the album. Super amazing album. I hope that people feel that way–I do. The first single is out right now. It’s called “Everyday,” featuring myself and Eve. We got Lenny Kravitz on the album, Lil’ Wayne on the album, Bono is on the album, Jay-Z is on the album. Yeah. 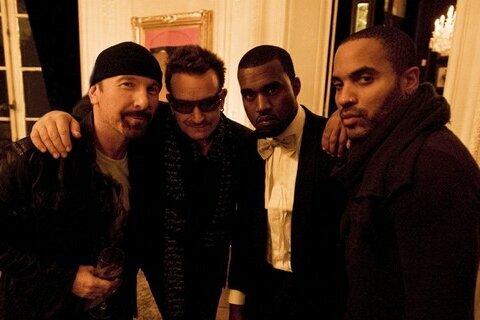 We got this song–it’s me, Bono and Kanye on this one song called “Skyscrapers.” I recorded with Kanye in the studio and then I recorded with Bono in this actual studio right here. Mary J. Blige is on the album; John Legend is on the album. But they’re on the album in super amazing ways. It’s not like a compilation–it’s a nice mixture of creativity. I had no boundaries with it; I had great partners on the album–Reebok was supporting me.